Nayif-1 is an educational single CubeSat project with the goal of providing an actual space project for Emirati University students. Additionally it is intended to enthuse and educate young people about radio, space physics and electronics. 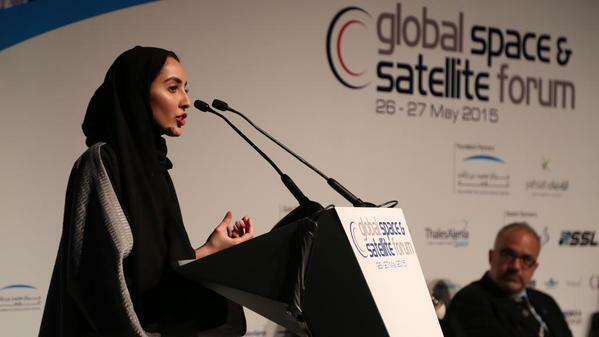 The 1U CubeSat is a collaboration between the Mohammed Bin Rashid Space Center and the American University of Sharjah both in the United Arab Emirates. The spacecraft will only require simple ground station antennas and an SDR dongle receiver. This will make it uncomplicated for schools and colleges to use with their students. It is anticipated Nayif-1 will be launched into an elliptical, sun synchronous, Low Earth Orbit (LEO) about 400 by 750 km. In such an orbit the satellite passes over the Emirates at least twice a day. This would allow the morning passes to be used for educational purposes and the evening passes for Amateur Radio communications. The student team will develop and operate a special ground station for this spacecraft. They will also be developing a unique “Dashboard” to display the received telemetry data and greetings messages in Arabic. 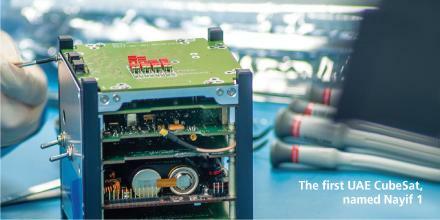 Nayif-1 will incorporate a novel autonomous attitude determination and control system. This will be the first flight of this system. Additionally it will carry a UHF to VHF linear transponder that will have up to 0.5 watt output and which can be used by Radio Amateurs worldwide for SSB and CW communications.